A rebellious teenager Patsy became a high school dropout, a bride at 17, and a parent at 20. Soon she became a terrified vicitim of agoraphobia and became a prisoner in her own home. Lost in the shadowy darkness of depression, there was little hope for this woman to reemerge into the light, much less excel at life. But reemerge she did. Excel she has. And how! 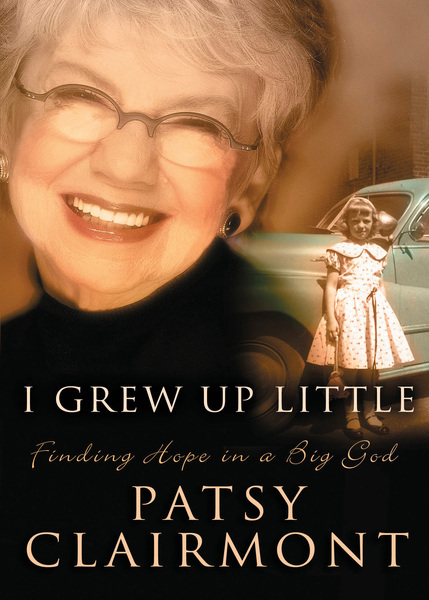 Standing five feet even, popular speaker, author, and humorist Patsy Clairmont laughingly says, 'I grew up little,' But this petite body houses a gigantic, courageous heart. And this amazing little woman evokes gales of laughter and joy from hundreds of thousands of women every year as she literally dominates the massive stages of Women of Faith® conferences.